If you are planning to have your home assessed by a home inspector, then you must first know about the home inspection cost, especially if it’s the first time that you’re doing it. 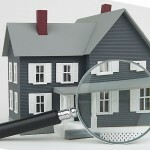 A home inspector is the person you have to call to evaluate the current condition of your house. Keep in mind that a home inspection is not an appraisal which quotes the property’s value. Instead, a home inspector will give you a report that you can use to identify the problematic areas of your house and then you can make the necessary repairs before making it available on the market. The recent housing market slump led to some home inspectors offering an inspection for a flat rate of $100-$200. Home inspections only take 1-2 hours and it only involves a minimum amount of equipment along with a handwritten report. It might even miss important issues. If you want to have a more thorough home inspection which includes photos, the amount varies considerably, depending on the region and the property’s size, sale price, age, and number of rooms. Generally, it ranges from $200-$900. A typical home inspection averages $260-$280 in the Midwest and Southwest. Elsewhere in the United States, it would cost around $320-$360. 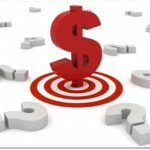 The process will take 2-4 hours, but a remarkably detailed evaluation can take 5-8 hours with costs ranging at the higher end from $200 to $900. Now that you know about a typical home inspection cost, it is important that you also know what’s included in the payment. A home inspector will want to visually examine the exterior of your home, foundation, walls, roof, gutters, attic, basement, insulation, garage, electrical system, visible plumbing, air conditioning and heating, and the general condition of the interior. In most cases, the home inspector looks for bad conditions or safety-related problems. Sometimes, this doesn’t cover small or cosmetic items that are readily apparent. If possible, you should also be there during the whole home inspection process in order for you to see what the inspector sees and so that you can ask questions on the items that concern you. Home inspections do not cover absolutely everything. This means that there is an additional cost if you have a particular requirement or concern in mind that is not included in the service agreement. For example, some home buyers schedule a swimming pool inspection. This will typically cost an additional $75-$125. Others may want to have trees inspected, which can cost an additional $150-$350. Furthermore, if you want your septic systems inspected or examined, prepare to pay an additional $350-$450; for termite and pest reports, an additional $75-$120. While most people hire a home inspector that is recommended by their real estate agent, some experts suggest that you find an inspector on your own. This avoids any possible conflict of interest. Hopefully, this article gave you a basic understanding of a home inspection cost. This entry was posted in Home Inspection Costs on May 29, 2013 by FindItOnline. Are you curious to know about the home inspection costs? A home inspector evaluates the current condition of a house. You should be aware that this is not an appraisal. A home inspection report can be used by home sellers to identify all the details that are not in good condition and details that are not. This helps them make repairs before they put it on the market. On another note, for potential home buyers, this helps them ensure that they’re buying a house that is in good condition. $100-$200 – this is usually the flat rate that home inspectors give due to the recent housing market slump. Such home inspection will take 1-2 hours and this only involves a minimal amount of equipment and a handwritten report. $260-$280 – this is the average amount of home inspection costs and this is a more thorough home inspection that includes a typewritten report and photos. However, the price still varies depending on the region and the home’s square footage, sales price, age and number of rooms. Average home inspection will take 2-4 hours but if you want to go for a more detailed evaluation, it can take 5-8 hours or more and it will cost between $200-$900. It is very important that you familiarize yourself with the home inspection costs especially if you plan to buy or sell a home. This way, you will be aware of what happens in house inspections and you will be able to assess if the cost is reasonable enough. Always keep in mind that home inspection costs vary depending on the hours and how the home inspector will inspect your home. Some home inspectors inspect the whole home while others just focus on major details. However, the choice is yours to make. Just make sure that whatever type of inspection you wish done in your home is exactly what you want it to be. 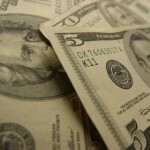 This entry was posted in Home Inspection Costs on March 1, 2012 by FindItOnline. As a property inspector, your job is to inspect the whole property and make sure that the property is suitable for people to live in. Also, property inspection should be done any time it changes hands. Every property inspector should have a property inspection checklist to serve as a guide and this checklist will also be presented to the owner or soon to be owner of the property. It may seem short but once a property inspector gets into the details of each specific aspect in the property inspection checklist, it can take him hours to finish. A property inspection checklist is one way to assure clients that every detail of the property is properly inspected by a property inspector. Since clients don’t normally pay attention to every detail of their property, they must be informed and they are paying for it as well. For property inspectors, a property inspection checklist, as mentioned above, serves as a guide. This helps them to be reminded on the aspects of the property that they need to look into. If you are thinking of hiring a property inspector, always request a copy of the property inspection checklist. This is your right as a client and this will help you familiarize yourself with all the details that will be inspected in your property. That way, you have enough knowledge to understand the feedback your property inspector will tell you or include in the checklist. This entry was posted in Home Inspection Costs on February 22, 2012 by FindItOnline. A home inspection checklist form is a-must for home inspectors. The checklist will guide them through the whole inspection process. It will also help them check all the details that need to be checked inside a house. 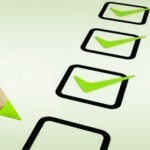 What should your home inspection checklist form contain? Property information – this part includes all the details regarding the property, address, type, sale price, style, age, total square foot and orientation. Neighborhood information – this will include the average family income, average home prices, services available in the neighborhood, its distance from establishments like public schools, business district, shopping centers, and so on, its proximity to hazards/nuisances and the utilities around the neighborhood. Rooms and sizes – in this part, a building inspector should take note of every room as well as the size of each room. Other structures must be put into detail as well. General structural info – in this part, it should include the foundation type, wall framing and roof type. Exterior components – this includes the roof covering, age and condition of the roof covering, gutterns and downspouts, type of exterior, condition of exterior surfaces, window types, window frames, condition of the windows, decks/patios, condition of decks/patios, type of driveway/sidewalks and condition of driveway/sidewalks. Heating and Air Conditioning – this includes the type of furnace, type of fuel, age and condition of the furnace, air conditioner present, age and condition of the A/C and fireplaces. Plumbing – includes type of main water line, type of water piping, type of waste lines, condition of plumbing lines, water heater capacity, type of fuel, age and condition of the water heater. Electrical – this part includes the main service capacity, service panel type and condition of wiring. Interior and Finishes – this includes the material of wall and ceiling, condition of walls/ceilings, floor finishes, conditon of windows/doors, condition of floor finishes. Appliances – each appliace in the home should be inspected carefully by a home inspector. Energy insulation – this includes the thickness of the wall insulation, type of wall insulation, attic insulation thickness, attic insulation type, R values and energy upgrades made to the house. Garage – a home inspector should check if the overhead door is large enough for vehicles. Does it come with automatic opener? Safety auto-reverse operational? The length of the garage. Can the doors be locked? Electrical supplied to garage, condition of electrical in the garage and overall condition of the garage. As you can see, a home inspection checklist form contains a lot of things that a home inspector should check. These are very important, and that is why a home inspection usually takes 3-4 hours, sometimes even more depending on the type of the home and how big it is. Aside from that, this is also the reason why home inspection cost can go up. It is not expensive at all. As you can see, the cost is very reasonable. This entry was posted in Home Inspection Costs on February 15, 2012 by FindItOnline. How do you estimate the cost of home inspection? When you are selling your home or buying a prospective home, it is always important that you get a home inspector to inspect the home. A home inspection will help you know the current condition of the home like if there are repairs to be done or are there safety issues in the home. For you to be able to estimate the cost of home inspection, you must first determine how detailed you want the inspection to be. Usually, a short inspection takes 1-2 hours and can cost you $100-$200 and this includes a handwritten report. You might prefer a more detailed inspection and this will take more than 2 hours and complete with a typewritten report and pictures. A more detailed home inspection can cost you between $260-$360. The next thing that you have to do in order for you to be able to estimate the cost of home inspection is to decide what kind of home inspection the property requires. If the property has a swimming pool, this will mean that you will need to pay an additional inspection for the pool that will cost you between $75-$125. Also, if you wish to have the property inspected of pests and termites, expect to pay an additional of around $75-$120. Lastly, in order for you to totally get the estimate cost of home inspection, you must shop around for the best value for a home inspection. Do your research before you hire a home inspector. By this, you will be able to get the estimate of how much home inspection will cost you. By then, you will be more prepared when it comes to setting up your budget and you can easily hire a home inspector to get things done in a faster way. There are plenty of resources that you can find online and there are also books that can give you information of home inspection. Always keep in mind that if you are buying a home or selling, you must always hire a home inspector to make sure that everything is in good working condition and there won’t be any future problems in the home. This entry was posted in Home Inspection Costs on November 24, 2011 by FindItOnline. Having a new home inspection checklist is a valuable tool to use when you are conducting a final walk-through on your new home. The more detailed the list, the better the chance to find problems which the builder can fix before you move in. Turn up the thermostat at least five degrees over room temperature and make sure the heater continues to run and then shuts off. Run every fixture for five minutes, check for leaks from the base of the fixture and drips from the faucet. There are plenty of things that you must check in your home and having a new home inspection checklist will make things easier and organized. You should also check the kitchen such as the countertops for scratches and abrasions, the cabinets in your kitchen, drawers and don’t forget to check all the appliances. Let’s not forget the bathroom, if your home comes with a bathtub, check it for chips and cracks also with your sink and toilet. Also, check that all the flushes in your toilet are working and make sure that your toilet is securely fastened to the floor by sitting on it. You should also check the windows by checking on the glass for cracks, and make sure that it can open to its fullest and can be tightly closed. Also, check the hingers and hardware. This entry was posted in Home Inspection Costs on November 18, 2011 by FindItOnline. Having your own home maintenance checklist is very important. This will help you keep track of all the systems and things in your home to ensure that everything is in order and in good working condition. Aside from this, this will keep your home very organized. This checklist explains the things you have to do every season. For your home maintenance checklist during the fall, it should include replacing the filters in your heating and air conditioner systems, removing air conditioners, changing the batteries on smoke and carbon monoxide detectors, inspecting the seals on windows and doors, inspecting joints in ceramic tile and caulk around tub and sink, inspecting exposed wiring and cords for wear and fraying, inspecting unvented gas heaters for proper ventilation, also, you must have your heating and air condition systems services and inspecting for and repair and plumbing leaks. These are some of the things that you must prioritize during the fall as this will ensure safety during the particular season. For your home maintenance checklist during the spring, your checklist must include inspecting the attic, ceilings and roof overhang for water damage, inspecting walls and masonry for cracks and subsidence, inspecting paint for wear or cracking, inspecting doors or window frames, siding and trim for cracks, having your gutters and downspouts cleaned out, plug leaks along the seams and corners of your gutters, inspecting windows for broken glass and screens and cleaning screens, having your heating and air conditioning systems serviced and lastly, inspecting your basement for leaks, moisture, termites and wood rot. For your home maintenance checklist during the summer, you must inspect the roof for damage or loose shingles, your driveway and walkways for cracks and settling. You must also drain the water and sediment from your hot water heater and replace the water in it. Test the pressure valve on your hot water heater and check to make sure your water heater vent is not blocked. Lastly, replace the filters in your heating and air conditioning systems. Last but not the the least, your home maintenance checklist during the winter must include, having your gutters and downspouts cleaned out, plug leaks along the seams and corners of your gutters, inspect and repair your home’s sump pump, oil door locks and hinges and tighten doorknob and hinge screws. Also inspect your attic for nests of birds, rodents and insects. You must also inspect around your property for wasp nests and remove them. This home maintenance checklist for every season will definitely keep your home clean, organized and homey the whole year. Just follow this checklist and you will definitely have a beautiful home. This entry was posted in Home Inspection Costs on November 11, 2011 by FindItOnline. Are you curious about a house inspection cost? Well, you should know that there are some factors that can affect the cost of house inspection. First, there are a lot of services out there and because of growing number of services, they don’t charge the same price. You can do your research by calling up different companies and asking the cost of their services. This way, it will also help you find the bets service available that will fit your needs. The size of the home can greatly affect the house inspection cost. If you have a large home, this simply means that it will require a longer inspection. Of course, a small flat will take less time. You should know that home inspection can take anywhere from two hours to six hours and sometimes, it can take longer if there are problems found. Always keep in mind that the longer a home inspector is in your home, the better. Don’t forget to ask for a home inspection checklist as well so you know the different items that will be checked in your home. Another factor that can determine a house inspection cost is whether you use a large home inspection company or a self-employed home inspector. Choose a good inspector with a good reputation and as much as possible, well-known. You can ask your family and friends for referrals. Typically, a home inspection cost is between $175-$300. The cost will also be higher if you are in a big city and less if you are in the middle of the country. However, there are also additional costs if you want something inspected in your home such as asbestos, lead paint and others. Only a licensed and a certified home inspector can do this which simply means that their fee will be higher. To know about house inspection cost, research is the key. Before you pick up your phone and hire a home inspector, it is very important that you have an idea of how much it will cost you. This way, you will be more prepared and you can easily hire a home inspector in the quickest way. It is also recommended that during the home inspection, it would be great if you are present so you can ask questions and if the home inspector has questions, they can quickly get an answer back. This entry was posted in Home Inspection Costs on November 4, 2011 by FindItOnline. What to look for in a home inspection? Before you buy a house or you sell a house, it is very important that you set up an inspection of the home by hiring a home inspector. Pre-owned homes may have problems that are not easily spotted on the initial tours of the home and it should be identified before sealing the deal. The plumbing, electrical and other mechanical systems are inspected for defects and issues by a home inspector. What to look for in a home inspection also includes your home inspector conducting a thorough inspection of the foundation of the home for cracks and other issues that can cause serious problems in the future. It also includes staircases, structural beams, and other home features to ensure the structure is safe for people to live in. What to look for in a home inspection also includes the examinations of walls and floors for water damage, mold and other problems that are hazardous to the health of the occupants and may be dangerous to the integrity of the structure. The water damage if often behind walls or under flooring and may not be readily evident to individuals. If you’re thinking of what to look for in a home inspection, make sure that your home inspector inspects that outside of the home like the drainage systems to ensure that the water flows away from the foundation. This is because standing water can cause serious foundation problems and all gutters and grading should all lead water away from the home. If you want to have a pest control and hazardous materials like lead paint, asbestos, and gas leaks inspected, you will need to hire a licensed and certified home inspector. This will have a higher home inspection cost but it will be worth it and this will ensure you the safety of your home. Always keep in mind to have a home inspection checklist with you so you can keep up with the whole inspection. Also, having a checklist will also allow you to do the whole inspecting yourself, although you will be able to inspect only the visible things. If you are having a home inspected, whether you’re buying it or you’re the one selling it, it is very important that you also have a home inspection checklist. Obviously, you will need to hire a home inspector to do the inspection but at the same time, you must be aware of what are the items that must be checked and this will also ensure you that you are making the most out of your money. The home inspection cost can be a bit pricey, so having your own home inspection checklist that you can request from your home inspector would help a lot. It would also be helpful if you are present during the whole inspection process so you can answer the questions of the home inspector and vice versa. You have to keep in mind that the focus of a home inspection is on the structural, mechanical, electrical and the overall condition of the property. However, keep in mind that the standard practice of home inspectors don’t include the inspection of asbestos, radon gas, lead paint, toxic mold and pest control. Inspection of those things will require a specific license. So, if you want to have those checked, you must hire a certified and licensed home inspector but this will cost you more. In order to fully understand a home inspection checklist, you must know the process. 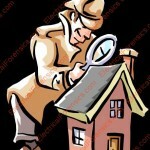 Remember that the first step in inspecting a home is that the home inspector examine the big picture of the home. The inspector will notice the are the home is located in, other homes of similar age and construction details that are relative to the home they are inspecting, checking for significant modifications to the exterior of the building and examining the workmanship. Once the home inspector is done with visualizing the big picture, you will see on your home inspection checklist that the first items are located outside the home. The beginning of the inspection starts at the exterior front of the house and the inspector will work his way around the house at a distance which will allow home to view a complete face comfortable. The next items on your home inspection checklist is the interior that starts at the basement and the inspector will work his way up from there. In that home inspection checklist, expect your home inspector to add some notes and there will be grades beside the notes from good to poor.